Jack Schwager is the Chief Research Officer and Cofounder of FundSeeder and the author of the bestselling Market Wizards book series. His other books include Market Sense and Nonsense and the Complete Guide to the Futures Markets. He formerly spent 22 years as a director of futures research for some of Wall Street’s leading brokerage firms and 10 years as a partner in a hedge fund advisory firm. (check out his MiB podcast). This is his first post at The Big Picture. Enjoy. Recently, I had the opportunity to manage the process of creating an audio version of The New Market Wizards—a task that was previously handled by publishers for the audio versions of other Market Wizards books. I used ACX, an Amazon platform, to produce the audio. The way ACX works is that you post a short excerpt from the book and invite their narrators to submit auditions. Judging by my experience, ACX’s talent pool of narrators is amazing. In the first few days following my posting, I received about 40 audio audition samples, almost all of them good, and quite a few excellent. I was having such a tough time narrowing the choice down to one that the last thing I wanted was more good submissions. So I pulled the post after a few days. I eventually narrowed the list down from 40 to 4, all of them superb. To pick the final candidate, I did an email poll with 10 industry professionals (e.g., podcasters, traders). To my surprise, one candidate—DJ Holte—was totally dominant, being the #1 pick of the majority polled and the #2 selection of all but one of the remaining 10 respondents. DJ sent me the chapter audios for review one at a time as he completed them. I listened to these audios on my daily walks on the trails of Boulder, Colorado. Besides the joy of hearing my words brought to life by to a talented narrator, this review process exposed me to my own material for the first time in nearly 25 years, raising the question: What had changed? One of my concerns was that, after the space of so much time, I might come across material where my opinion had changed. This project after all was a translation of the original work (from text to sound) rather than a revision. In that sense, it needed to stay true to the original. And yet I thought, What would I do if a passage I wrote decades ago no longer matched my current beliefs? To my relief, I discovered that while many details had changed, nothing substantive had. As an example of one such detail, the futures trading pits, which figured prominently in some of the chapters, no longer exist in the current age of electronic trading. Why do you think the majority of people you trained lost money? They lacked what I call emotional discipline—the ability to keep their emotions removed from trading decisions. Dieting provides an apt analogy for trading. Most people have the necessary knowledge to lose weight—that is, they know that in order to lose weight you have to exercise and cut your intake of fats. However, despite this widespread knowledge, the vast majority of people who attempt to lose weight are unsuccessful. Why? Because they lack the emotional discipline. Do you see it? The culprit is the phrase, “cut your intake of fats.” Based on the preponderance of current scientific evidence, there is now widespread acceptance that sugars and simple carbohydrates are the primary villains responsible for obesity and related health problems, not fats. 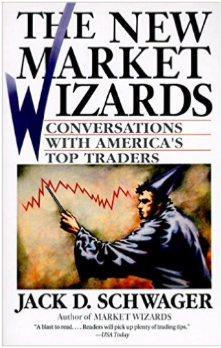 What has not changed since I wrote The New Market Wizards, however, is everything related to trading. Amazingly, or maybe not, I didn’t encounter a single underlying trading principle that I felt needed revision. The only item that I thought I would alter somewhat if I were writing the book today is a comment I made regarding risk control. In the final chapter I wrote, “Never risk more than 1 to 2 percent of your capital on any trade.” Today, I think that this statement is too aggressive. If I were writing this chapter today, I would be more comfortable phrasing the concept as, “Ideally, target keeping your risk per trade to a fraction of 1 percent, with a maximum risk level of 1 to 2 percent on any single trade.” So, in the one example I could find where I would alter a trading comment that I had made in the original book, it was a matter of making the point even stronger, not disagreeing with the original concept. The key and reassuring conclusion I walked away with after listening to my own book so many years later is that, while markets may change (e.g., the transition of futures trading from open outcry in the pits to electronic exchanges), sound trading principles don’t.